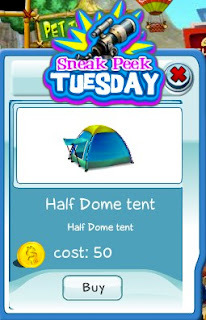 This week's Sneak Peek Tuesday item is the Half Dome Tent. You don't have to go camping to use this tent. Set one up in your home and jump in. Get one today before the sneak peek ends!